On Sept. 9th, Sophomore House, known on campus as SoHo, kicked off the year with an open house event luring the Class of 2021 with the promise of bubble tea from Yi’s Boba. All of SoHo’s members were present, mingling with other sophomores to explain their vision for the house as well as answering questions and concerns. 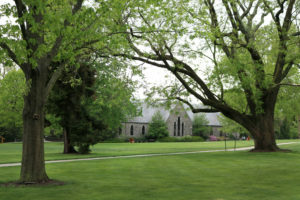 SoHo is a recent addition to Haverford’s campus and is located in Apartment 11. Last year, Dean Michael Martinez and an advisory group conceived of SoHo as a way to increase sophomore engagement within the community and fight the infamous sophomore slump on Haverford’s campus. Six students were selected last spring to oversee SoHo’s operations. Each student living at Soho was given an internship with a campus office—the CPGC, OMA, OAR, Student Life, Study Abroad Office, and CCPA—and is expected to act as a liaison between their respective office and the sophomore community. Currently, SoHo students are learning the ropes to their new office positions while brainstorming ways to connect their offices’ missions to the sophomore class. 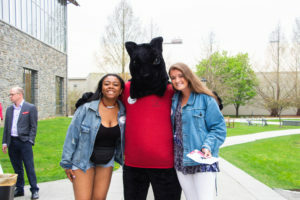 “The idea is to connect the sophomore community to what each of those offices do…Eventually, we’ll hold events here [in Apartment 11] that are sponsored by each of those offices to get the sophomore class more involved,” said Sydney Woods ‘21 a SoHo house resident. Alongside coordinating with those offices, SoHo will also offer dinners at the apartment, meeting spaces for clubs, and a suggestions box where Haverford community members can offer ideas or questions to SoHo residents. SoHo wants their apartment to act as an open space for sophomores to come and relax. Inside SoHo. Photo by Cole Sansom. Last year, SoHo’s announcement sparked controversy among the student body. Many questioned why, in a college that emphasizes self-governance and student agency, such a major decision was made without widespread student input. Others openly mocked the house online: What could SoHo actually do to fight the sophomore slump? While Higher Education Research has shown the Sophomore Slump exists nationally, does it exist at Haverford? Yet, arguably the biggest concern raised by students pertained to the expansive renovations in Apartment 11. 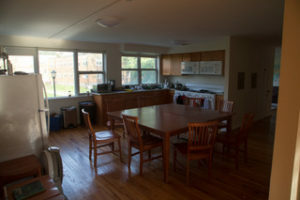 The renovations included new countertops and stainless steel appliances—a sharp juxtaposition to the often run-down other community houses on campus. “You can look at other apartments and [then] at SoHo, and there’s a gigantic disparity. There are other groups and community houses that have needed the money for a long time already. 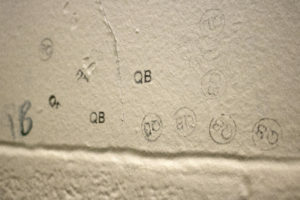 It’s clearly unfair,” said a student who wished to remain anonymous. Dean Martinez addressed some of these concerns last year in an interview with Dex Coen Gilbert ‘21, who is now a SoHo resident. In addition, Apartment 11 was already slated for renovation and was not made for SoHo specifically. 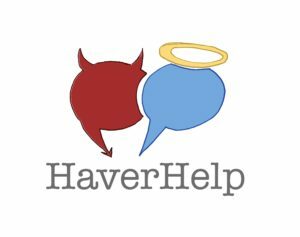 Furthermore, ultimately the space is not just for its residents: the apartment can be booked through Haverford’s Event Management System by all members of the community. At the end of the day, SoHo is a pilot program: if the house fails to make a meaningful difference for sophomores on campus, future generations of students will not have SoHo as a resource. For now, SoHo will be sending out more emails throughout the school year announcing events they are hosting. They are still brainstorming what SoHo’s role on campus is and invite Haverford students to make suggestions.